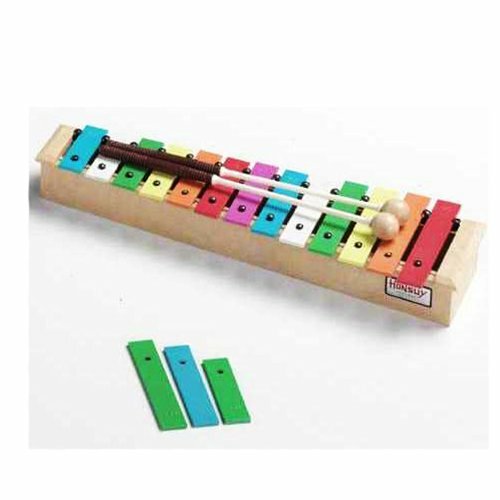 SOPRANO GLOCKENSPIEL C to A diatonic (Ref: 48990) - 1 Harmony plastic ABS box. - 1 Pairs of sticks. - 13 Steel tuned bars of 20 x 3 mm.Painted with different colours. - 3 Alternative bars F#, A# and F#. If you have any questions about this product by Honsuy, contact us by completing and submitting the form below. If you are looking for a specif part number, please include it with your message.